Book Challenge Day 16- Favorite Book You Read In School | What are we...the Whos? 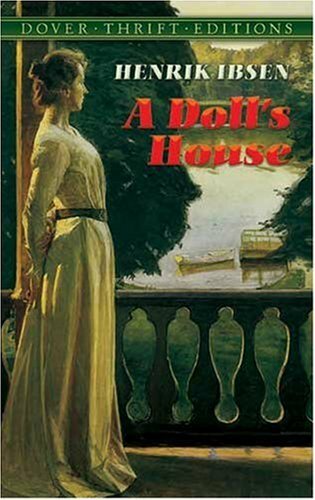 I first read A Doll’s House in high school and was thrilled when I got to read it again in college. It was probably my first “female power” book, which is why I have such an attachment to it. When I first began to read, I was disgusted by the relationship between Nora and Torvald. He was controlling and condescending and she was so weak that she not only allowed this behavior, she encouraged it. It’s not until halfway through the first act that you discover she has the ability to think and act for herself. By the end of the short book, you’re cheering her on. Posted in Authors, books, Reading, Writing and tagged 30-Day Book Challenge, A Doll's House, Henrik Ibsen. Bookmark the permalink.